Fall is here and we are talking apples. And books. And traveling the world. Reading books is fun and very beneficial for kids. The things they see (thanks to their imagination) and the places they go are pure amazing. So why don’t we take advantage of it and make a little bit more educational this time. As an international family, we loved this book on so many levels. We could relate to traveling, eating different foods and also making a pie from scratch. In fact we enjoyed this story so much, we decided to make a video ourselves. A story video. Now that you watched the videos (and hopefully showed it to the kids) everybody can get excited about learning … and baking and eventually eating. As you might have noticed (if you are familiar with Playtivities) I am all for natural, experience-based learning, so the activities are related to touching, looking for things and of course playing. I searched the web and I found the coolest “How to make an apple pie and see the world” activities for kids. Take a look, press on the links to learn more details. 1. 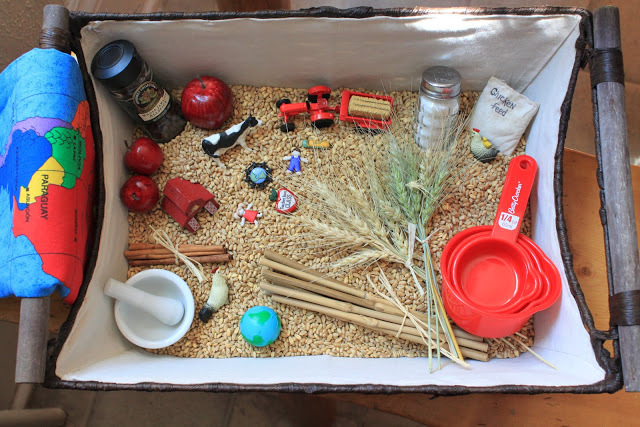 Make Apple pie sensory basket/activity for the little ones. I love this one because there are things to smell, touch, feel for better learning experience. 2. 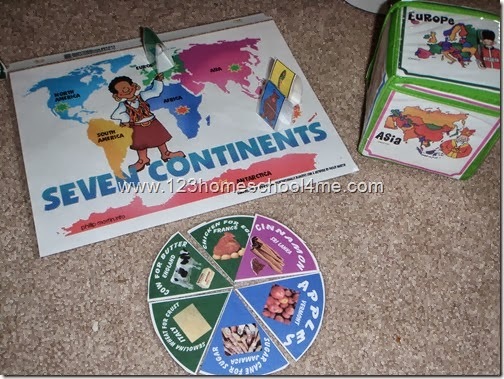 This super geography game (I can’t believe it’s FREE) will be a hit in your house. We had so much fun playing it and kids learned a lot. Will be playing it for many more times for sure. Free printables include: game board, 4 animal player pieces, 4 pies, 6 color coded continent sheets for the cubes. 3. Have a pretend play with fake passports and tickets. Visit all the world. Get your free printables here. .4. How about teaching your kids how to milk a cow! 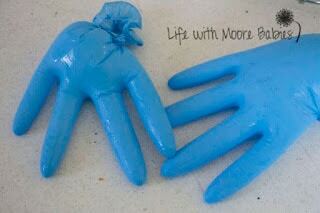 Awesome fun idea and a motor skill activity. To make the video I used free Google Earth program (where the map parts show). 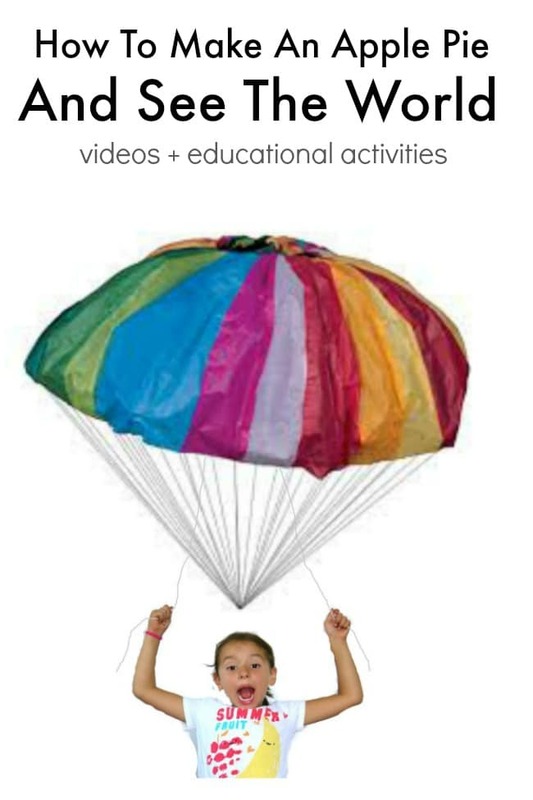 It’s a perfect learning visual tool for kids. Just type in the destination and the globe turns and shows the path to your preferred place. 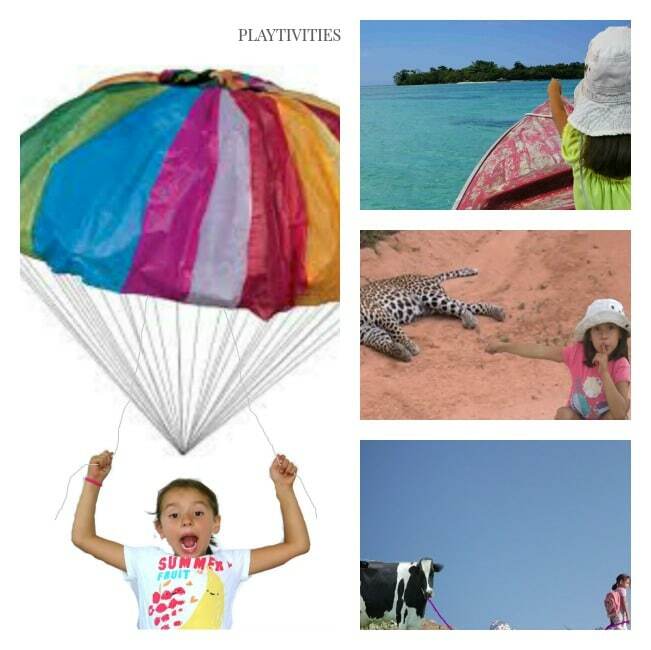 It’s perfect for older kiddos, as they will be very curious to explore more on what’s on the map. Thanks to all the neighborhood kids who contributed to the videos. It was fun watching them watch the videos as they have never seen themselves on the video. One boy was so into it, he really thought Sofia went to England to get the best milk and butter for her pie. Until he noticed and said: “but that’s my cow!”. The laughs we had… and the things we learned were priceless. I just wanted to send you a note to tell you that I Loved (with a capital L 🙂 ) your video on making apple pie and seeing the world. You did an awesome job. Thanks for taking us along on your journey. This is the best comment ever! Thank you! Birute I ADORE this! What fun you guys must have had! Ana, Thank you so much. It means a lot to me! And YES, we had lots of fun filming this and now we have ton of amazing memories. Hi- How does one go about making the beautiful sensory basket?